We are SO excited to announce our new guest blogger for the next six months! Gigi from GiGi Eats Celebrities will be providing delicious recipes and videos, which are both amazing and interactive. Be sure to visit our blog each month for a new creation! 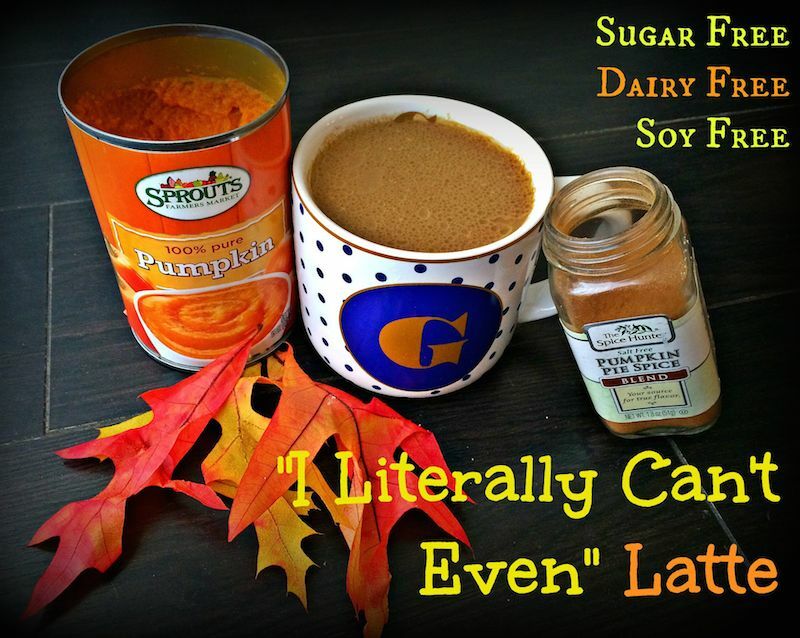 Ah so I see you’re curious about what goes in to a healthier Pumpkin Spice Latte! … That is, if you are in fact visiting from GiGi Eats Celebrities. Does the thought of ingesting saturated fat scare you, thanks to the FDA’s claims that the fat can clog your arteries (which leads to a whole host of issues)? Well, recent studies have deduced otherwise and what you should really fear is added sugar. The white stuff has been linked to liver failure, diabetes and even cancer, which as we know, can result in death. Unfortunately, sugar is quite addicting, and with the fall and winter months rapidly approaching, the consumption of the sweet stuff only increases, thanks to all the holiday treats including the “oh so festive” Pumpkin Spice Latte. 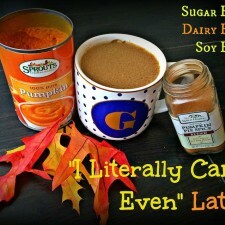 Pumpkin Spice Lattes can contain up to 64 grams of sugar and have absolutely no nutritional benefit whatsoever. You might have read headlines recently claiming that coffee shops will be adding actual pumpkin to the mix this season, but the addition is negligible, so please do not fall for such claims. While it would be smart to forego this fall/winter staple beverage entirely, you don’t have to give up on your beloved seasonal comfort drink completely. You could me Santa Claus, if you wish, for I have a gift for you, a healthy pumpkin spice latte that doesn’t contain any sugar at all, but instead contains HEALTHY medium-chain fatty acids * (i.e. saturated fat), thanks to the addition of Kelapo Coconut Oil! 1. Combine all ingredients into a mixing bowl. 3. Once whisked, transfer liquid to a microwavable safe mug and microwave concoction until hot. You can also pour liquid into a saucepan and warm over medium-high heat if you wish. 4. If you’d rather drink your pumpkin spice latte cold, refrigerate for roughly an hour. * Medium-Chain Fatty Acids (MCTs) are beneficial fats that are digested differently in your body compared to other fatty acids. These fats do not need bile or pancreatic enzymes to be broken down, thus they are easier to digest and provide your body with quick energy, and because of this, they are not stored as fat in your body (unless of course you eat more calories than you burn through activity). In fact, a multitude of studies have actually confirmed that MCTs actually aid in weight loss! Interested in seeing how this frothy deliciousness is made? Be sure to visit the link below. Follow GiGi on Facebook for more updates and recipe creations!